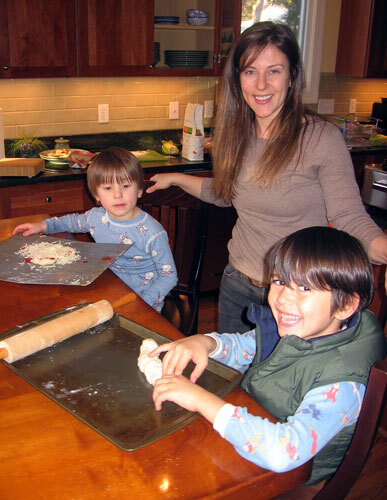 Kate Koffman and her sons, Evan (left) and Aidan, have discovered the joy of making pizza instead of ordering out. With the economy in crisis, there's growing evidence people are making significant lifestyle changes. And it's not just people who have lost a job or are in foreclosure. Even families with resources are cutting back and putting more money in the bank.